Ben: There’s something out there. Apollo 18 is the perfect example for how to market an empty paper bag. 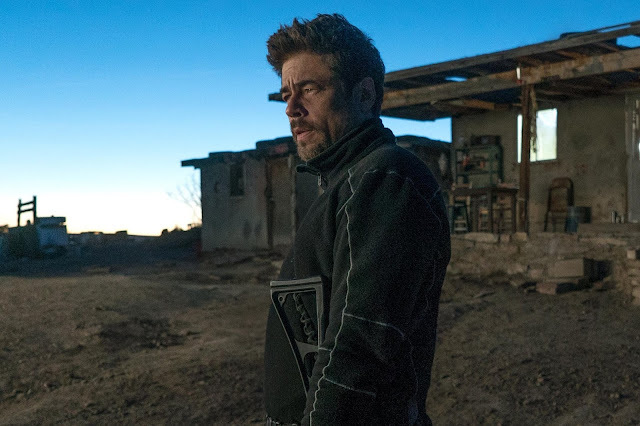 It is not that I hated this film, it actually does a few things right, but I found that there was way more intrigue in the setup to this film before it even hit theaters, before actually seeing the final results. The simple image of another footprint overlapping an astronaut’s footprint on the moon is fairly clever. Describing the premise is fun. The result delivers what you’d expect, just without the proper execution that resulted in solid tension or scares, which is instead replaced by cheap startles and dullness. 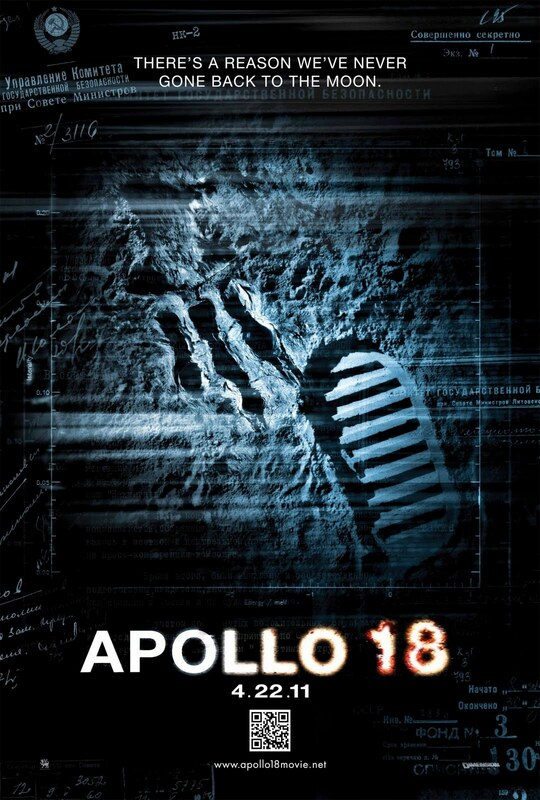 The best thing I can say about Apollo 18 is that it was as if the guys at NASA (who felt the need to separate themselves from this film), were big fans of the Paranormal Activity movies and used their own equipment to make a parody version. 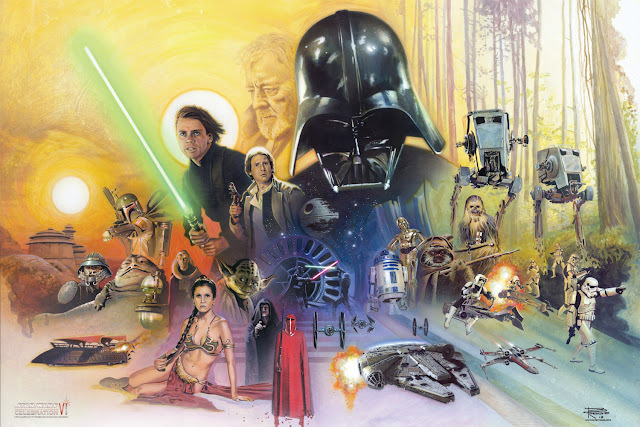 I won’t spoil too much, but the film is set in 1974. We are alerted that although man has at this point walked on the moon, Apollo missions 18, 19, and 20 were cancelled due to budgetary costs. However, thanks to the upload of prohibited top double-secret files to lunartruth.org, we are now able to see a film edited out of 84 hours worth of footage documenting the highly confidential Apollo 18 mission, which sent three men back to the moon to set up some antimissile device before the Russians (disclaimer: none of this narrative stuff matters). 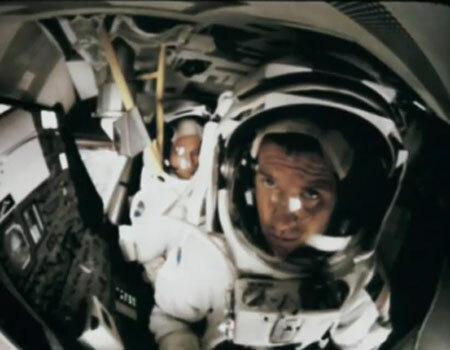 Upon arriving, with one team member still in orbit, the two astronauts on the moon go through their standard mission objectives, but it is not before long that they encounter some spooky situations. Motion cameras setup around the module begin to bug out, mysterious noises begin to creep in, and one startling discover only leads to more. It is more than just cabin fever, but as we all know, in space – no one can hear you scream. I figured I would need a cool tag at the end of that last paragraph to get me through the rest of this. 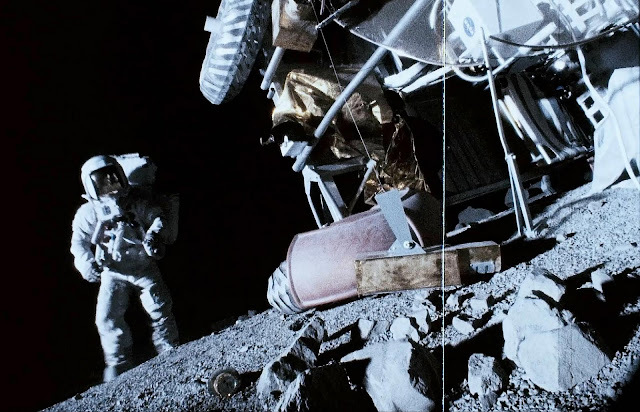 Apollo 18 is not without its clever moments; however it doesn’t do much to break new ground for the “found footage” horror sub-genre. 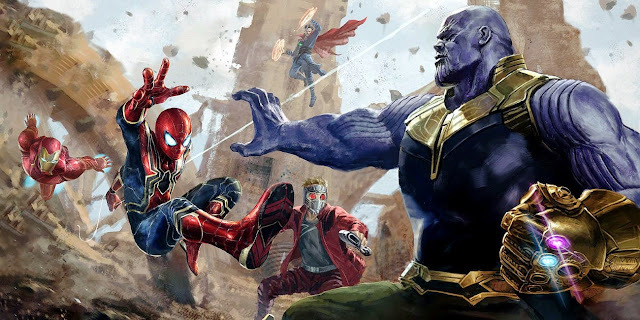 Given its unique premise, there could have been some interesting things done to make this film more effective, but it instead feels more like a checklist of things that are supposed to be done in these kinds of films, except that this time it is in space! The setup is promising enough and has enough fun with feeling like a top secret moon mission, giving three lucky astronauts the chance to visit the moon, despite not being able to tell anyone about it. We get some brief info on these guys and are soon off to our main location. Then you get that initial intrigue of learning that things are not exactly as they should be. The actors involved do a good of enough job of making things seem “realistic” enough, as they deal with various occurrences. Using cameras of the time or at least digitally altering how it was shot to seem from the past works well enough to make this feel like something coming out of that time period. However, the film does stretch this out and makes us sit tight as it begins to get us uninterested in its supposedly scary proceedings. As we get into the surprise moments of the film, I couldn’t help but feel bored by its by-the-numbers setups and executions. There are some cheap “jump scare” moments, but the attempts to create tension in this film come off more like seeing nothing happening until the camera dictates exactly what you should look at and be scared of. As opposed to some superior films of the same format, where the viewer discovers strange and frightening occurrences on their own, Apollo 18 decides to directly focus on areas that you are supposed to be shocked by. 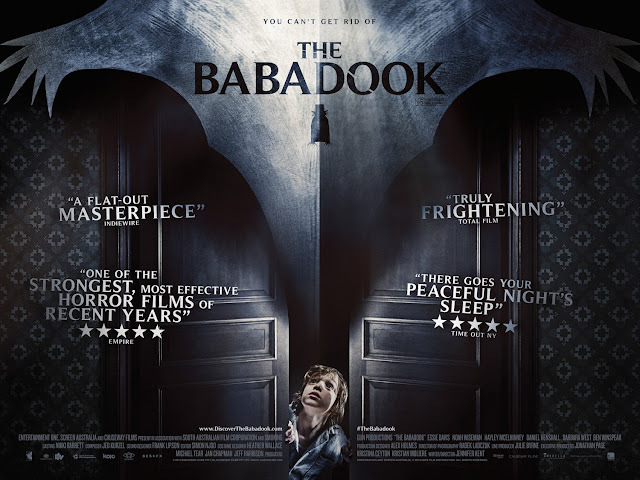 When the scares do come, beyond the shock reaction the film tries hard for, it usually follows a lot of predictable setups to get to that point. Despite maybe getting the easy response, there is still a lack of creativity that is evident. As a fan of films of this format, I was willing to look past some of this, before it just became too much. There are a few standard rules that one generally wants to follow in these types of films. One rule always seems to involve making sure that the camera is necessary in the situation one is in. Apollo 18 really stretches the lengths of believability when it comes to making us wonder why these astronauts continue to use their handheld cameras. Given the film’s desire to be convincing as actual lost footage, it really pushes this acceptance to the limit if you think about how the footage, that is supposedly real, managed to be edited into a film that evokes other popular films that came before it. Another standard rule to stick with for these types of films is to keep the creepy occurrences a mystery. 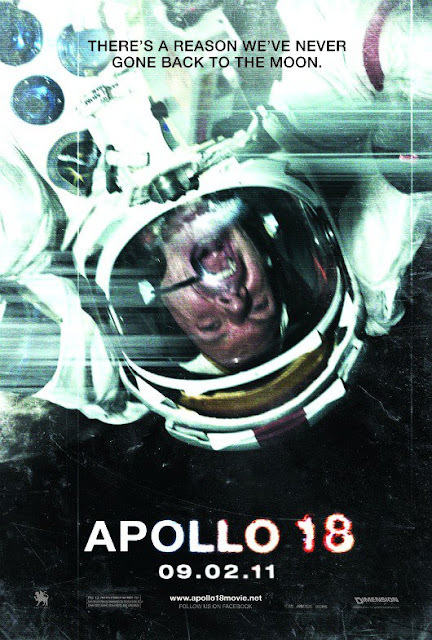 Again Apollo 18 decides to show too much in the way of what is going on and knowing too much about the problem at hand becomes a problem for the film. As the truth revealed we become less interested, especially since the actual truth behind what is going on turns out to be pretty silly. Generally films like this at least build and build until reaching its final minutes that should presumably be some of the tensest in the film. Unfortunately, since Apollo 18 only managed to elicit “jump scares” and not build actual suspense, the final scares that occur are more or less bland and expected as opposed to well thought out. 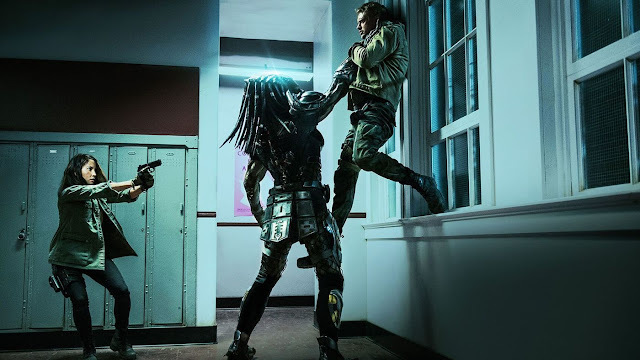 It is not that I was expecting greatness, I was just a little hopeful for a stronger delivery on a fun take on the “found footage” horror genre. 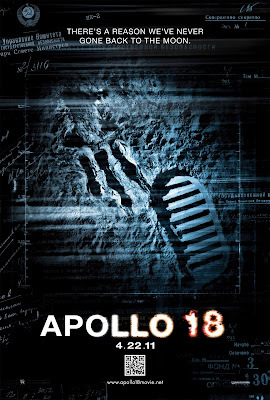 The ideas were all on the board and there are some confident qualities to be found in the filmmaking (even when the old-school style managed to become a bit too irritating at points), but the Apollo 18 still managed to feel less creative than its premise suggested. It serves as a high concept/gimmick that may have managed to get to the Moon, but still barely got its feet of the ground. Nate: There’s something inside my suit! 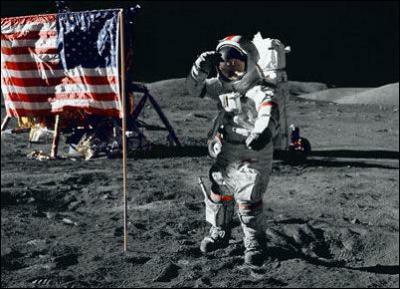 Maybe they will blame the real nano-bots on the moon rocks brought back from Appollo missions of the past. Trust me there are real ones.